Liverpool FC has released the following away ticket details for the Champions League fixture at SSC Napoli. 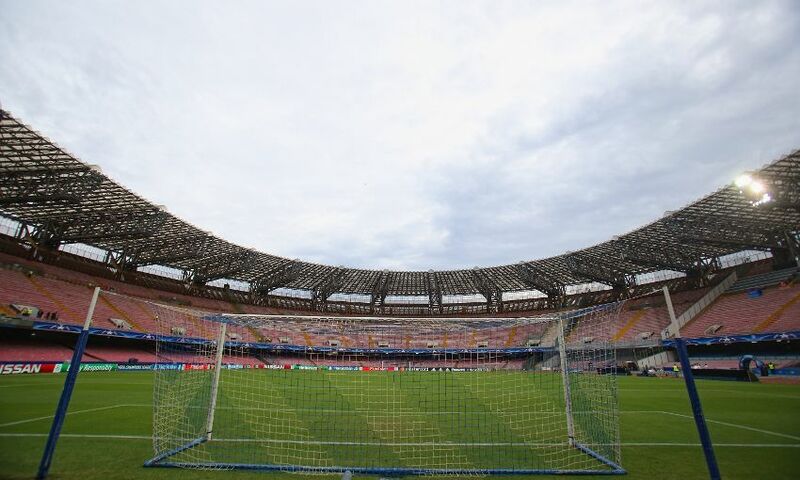 The game will be played at Stadio San Paolo on Wednesday October 3, kick-off 8pm BST. The club has received an allocation of 2,639 tickets for supporters to purchase. The club also received a further allocation of 200 top category seats that, in line with UEFA guidelines, will be used as part of the players’ allocation, the club’s UEFA Youth League team’s players and staff, travelling club staff and VIPs. Napoli have instructed the club to write the name of each supporter attending on every ticket purchased. ID will be requested at the turnstiles when accessing the stadium and checked against the name on the ticket. Please do not attempt to remove or change the name from the ticket as you will be refused entry. We would also like to remind supporters that important safety information for supporters travelling to Naples will be provided in the lead-up to the game. The information has been provided by the Italian authorities in conjunction with LFC club officials, and we strongly advise that you follow all the information and instructions given. Kenny Dalglish Stand, executive box holders, premium level and centenary club members should contact the hospitality department on 0151 264 2222, option two. Wheelchair-disabled supporters should register their interest no later than midday on Thursday September 20. Tickets will be available to season ticket holders, Members and fan card holders based on attendance at AS Roma (May 2, 2018), Manchester City (April 10, 2018), FC Porto (February 14, 2018), Sevilla (November 21, 2017), Maribor (October 17, 2017), Spartak Moscow (September 26, 2017). Attendance at four or more games: from 8.15am on Friday September 21 until 7.15am on Monday September 24. Attendance at three or more games: from 9am until 12.45pm on Monday September 24. We expect tickets to sell out during this sale but if tickets remain, the following sale will take place. Attendance at two or more games: from 1pm until 4pm on Monday September 24. Please keep checking here for further sale updates. Please select one of the following before proceeding to checkout. Non-UK-based supporters - we will not be facilitating collections in Naples. Tickets will be sent via DHL to the registered address of the person making the booking, at a charge of £5.65. Tickets will be held for collection at Anfield only. Collection dates will be updated here. Tickets should be collected before 3pm on Saturday September 29.